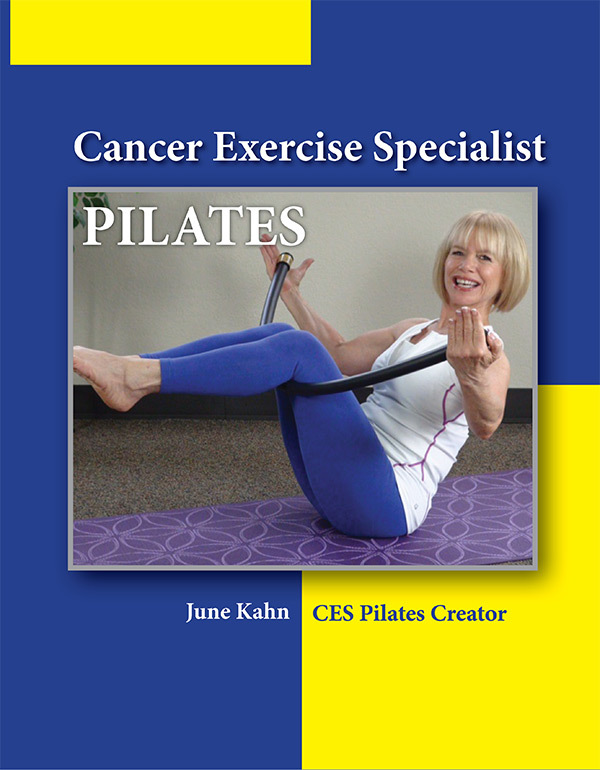 Yoga and Pilates Mat Supplemental Handbooks for Cancer Exercise Specialist® Professionals. Includes Yoga Supplemental Handbook and Pilates Mat Supplemental Handbooks. (Regular Price $39.99/each). Hard copy available upon request, only pay shipping. Includes both the Yoga Supplemental Handbook and the Pilates Mat Supplemental Handbook. 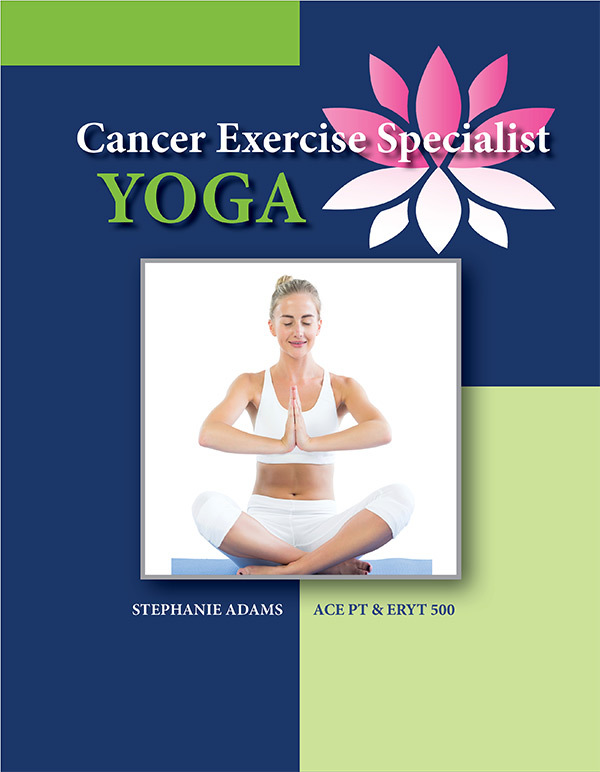 The CES Yoga program was developed by Stephanie Adams, ERYT 500, Inspired yogi, and teacher trainer for 20 years, along with Andrea Leonard, 33-year cancer survivor, author of “Essential Exercises for Breast Cancer Survivors,” NASM Corrective Exercise Specialist and Performance Enhancement Specialist, and President/Founder of the Cancer Exercise Training Institute. Stephanie and Andrea provide a yoga-based rehabilitative exercise program that will help to improve the patient’s ability to cope with the mental and physical stress following cancer diagnosis and treatment. As a yoga instructor you will learn how to develop a unique and individualized exercise program using a yoga-based approach and the CETI training methodology. You must complete the CES Advanced Qualification in order to receive your Advanced Qualification as a Cancer Exercise Specialist®. 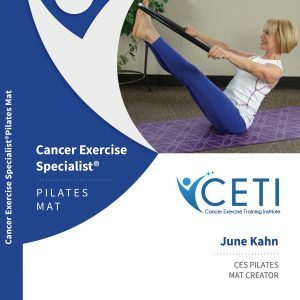 The CES Pilates Mat program was developed by June Kahn, internationally recognized fitness leader and 2009 World IDEA Instructor of the Year, former Reebok World Master Trainer, and ACE, AFAA, & ACSM certified health & fitness instructor, along with Andrea Leonard, 33-year cancer survivor, author of “Essential Exercises for Breast Cancer Survivors,” NASM Corrective Exercise Specialist and Performance Enhancement Specialist, and President/Founder of the Cancer Exercise Training Institute. June and Andrea provide a Pilates-based rehabilitative exercise program that will help to improve the patient’s ability to cope with the mental and physical stress following cancer diagnosis and treatment. As a fitness professional you will learn how to develop a unique and individualized exercise program using a Pilates-based approach and the CETI training methodology.